For some time now my Internet access has been held hostage by an old 802.11g WiFi router. I have cable Internet with some blazing download and upload speed averages, but the only computer in the house that has been able to take advantage of that is the sole Windows 7 desktop PC in my upstairs office. My wife’s downstairs laptop, both of our iPads (hers the iPad 2 and mine the iPad 3 — sorry, Apple, that’s what I’m calling it), and my MacBook Air all have had to deal with 802.11g speeds when in fact both iPads and the Air are capable of using the 802.11n protocol. Given my fast cable Internet access, the bottleneck is most definitely the WiFi signal — with a maximum 54Mbps bandwidth, the old 802.11g router has had its day and served me well… but the old must make way for the new. 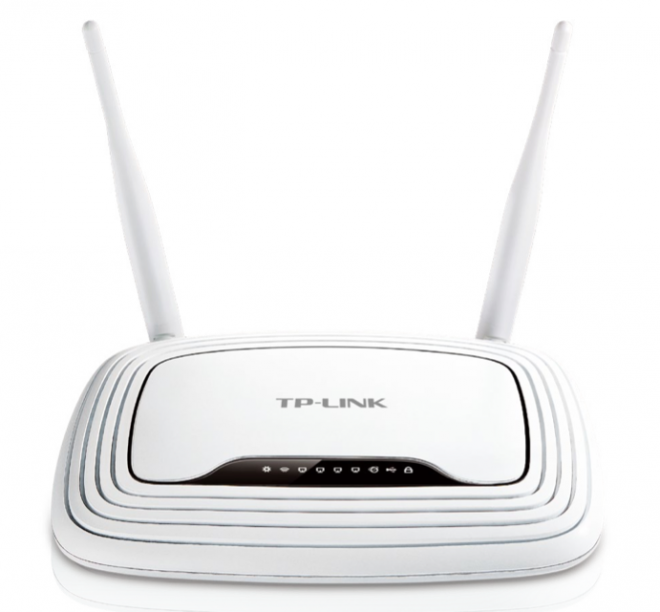 Enter the TP-Link TL-WR842ND — with a maximum 300Mbps bandwidth, that’s almost 6x faster than the old router. Even if I’m only getting half of that speed with the new router, that’s still triple the throughput. And the 842 has many more benefits. First, let’s start with simply streaming video. With the old router, watching a single YouTube video in the evening was painful. With frequent pauses as the download progressed, it was such an annoyance. Email downloads were fine, but if I wanted to download a new app I could pretty much set the iPad down and go get a drink, read some emails on the Air, and then check back. So far, the 842 has really helped — video streaming has improved drastically as have app downloads. FaceTime is also more enjoyable, although I rarely use it. All in all, the change to 802.11n has shown a noticeable improvement in a number of areas, specifically with the iPad. I don’t use a VPN anymore — with cloud-based services like Dropbox, I keep my files there so I can access them from any device I’m using that has Internet access. But the 842 does offer a very secure VPN feature for those who might like it. The ability to tunnel and use strong encryption (5 options available) in order to access files remotely is still a necessity for many people, and the 842 admin screen makes it super-simple to setup and configure. I have a 750GB external hard drive that connects to my desktop PC via USB. For some time I’ve been wanting to be able to access that remotely, and with the 842 I found a nice and tidy set of instructions on the admin screen that walked me through configuring the router to make that external hard drive fully available. Seriously — six steps and my Air now has an additional 750GB of file access and storage! And the 842 also offers both Printer and Media Server services — and these are even easier to configure. I rip just about every DVD movie I own to digital, and I’ve now got a Media Server set up and fully accessible to my Apple TV, the MacBook Air, and my wife’s laptop. (I have a different solution for movies on the iPad that I’ll share with you later this week.) And by the way — instead of accessing the external hard drive connected to my desktop PC, the 842 also comes with a USB port on back that you can use to connect an external USB drive directly — then you use the six step instructions found in the admin screen to configure it as Storage Sharing. From what I can tell, this storage is only available to other PCs on the 842′s network, but still — pretty cool to be able to create a file server so easily and quickly! A few other features are nice, but I’ve not yet had to use them — one is the instant On/Off button on the back that can kill the WiFi service immediately without disabling other features of the router. This is perfect for vacation time when there’s no need for any WiFi access to be going on in the home. And for those who just don’t want to deal with the configuration stuff related to setting up a WiFi network, the 842 offers the WiFi Protected Setup (for devices that also support it) – it’s a button on the back that handles all the details for you — press it and then go to any computer wanting to join the network will simply need a PIN entered (you get that number from the admin screen) within 2 minutes of pressing the button. I’ve not used it, but I understand how it could be beneficial… and I think its real strength will be found should I ever choose to add a signal booster to my network that supports WPS. So, summarizing — on the back are four LAN ports (10/100), 1 WAN port, a WPS button and a WiFi kill switch. The two antennas are probably doing something right (my old router only had one), and the 802.11n protocol is definitely proving to be better at video streaming and app download speeds. I can choose to connect an external hard drive via USB (on the back of the router) or set it up to be accessed as an FTP server. The parental control and 3 extra SSIDs are a nice addition should I ever find I need them. Remember back, I told you that my Air and iPads can communicate with the 802.11n protocol. But my wife’s poor laptop is still stuck with 802.11g. I could purchase an adapter, I guess… but she typically uses her laptop at her downstairs desk. Because of this, I finally broke down and decided to give the HomePlug protocol a try. TP-Link helped me out here, as well. I plugged in one of the TL-PA211 adapters (HomePlug AV, 802.3, 802.3u) into the wall in my office. I connected it to the 842 router with a single Ethernet cable. I plugged in the other adapter in an empty slot near my wife’s desk and then connected her laptop to the adapter with another Ethernet cable (both cables come with the TL-PA211 kit). Rated at 200Mbps, if she only gets half that speed it’ll still be twice as fast as the maximum 802.11g speed (54Mbps). I’ve reviewed a TP-Link product previously — the Nano router (and they’ve now got an even smaller one called the Mini Wireless N). I was impressed enough with how well it worked that I didn’t have any concerns about the functionality of these two new products. I was more concerned with the setup — that’s sometimes been my weakness as I tend to get very frustrated when things don’t work right out of the box. But there was no problem. The router worked right away; the Quick Startup instructions had me connected with both Air and iPads in less than 10 minutes. Getting the external hard drive added and configured took an additional couple of minutes and I was certain I’d done something wrong, but I was wrong again. Worked like a charm. As for the HomePlug adapters — they were even faster to install. 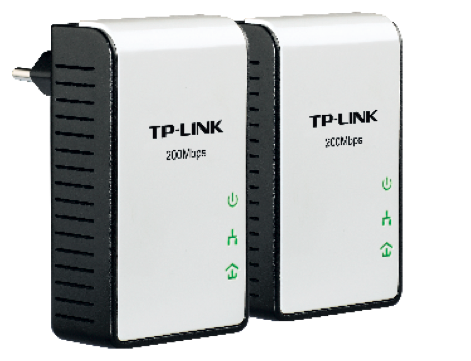 Plug one in and connected to router… plug the other in and connected to laptop. Push buttons on each device so they can find one another and BAM — in business. So, my network has been updated! My Air, the iPads, the Apple TV, and my wife’s laptop are now accessing the Internet at better speeds. I’ve also got access to an external drive that has been locked to one computer for some time now… but now that storage is available to multiple devices. My router has a guest SSID setup and I can quickly kill the WiFi with the push of a button. And as soon as I get the proper adapter, my office printer will be available to every computer using the Print Server service. Now, if you’ll excuse me… I’m heading to the basement to watch a movie on my Air via WiFi… because I finally can.